Yesterday I opened part 1 with a short look at the biblical cause for discernment, and distinguished between the every day Christian (who must discern) and the Christian who has been specifically given the Gift of Discernment (who must discern). I also mentioned the incredible technologies the Lord has allowed to be invented and how we can share the Good News of Jesus Christ by using these various platforms in ways never before seen. However, I cautioned that since the internet is egalitarian and unregulated (yay!) that any ole person, from vaunted theologian to cranks and nutcases, can issue theological material that range from Gospel gold to cow patties. It's up to the Christian to learn how to assess credibility of who they follow and use as a resource. --If you follow the writer/blogger for any length of time, is he/she growing in maturity toward Christ, or drifting away from Christ? --And, of course, does their output solidly handle the word of God? Today I'd like to offer you some tips on assessing whether an online discernment ministry is operating appropriately within an edifying sphere of the gift, or is just a critical crank out to get someone or has an ax to grind. The ultimate aim of discernment is to edify the saints, either by encouragement, or by warnings so they do not stumble or fall. Discernment is the skill of understanding and applying God’s Word with the purpose of separating truth from error and right from wrong. No matter if you are in your pew listening to a sermon, choosing a book at the Christian bookstore, or reading some essays online, you need discernment to determine if what you are absorbing aligns with God's word or is a lie designed to incrementally steer you away from the narrow path. So how does the online discernment ministry you follow (including this one) do in helping you separate truth from error? 1. Does the discernment ministry use primary sources? The internet allows for pasting and re-pasting and re-pasting endlessly. But if you track down the original quote often you find that it isn't even attributed correctly to the person you're reading about, or has been ripped out of context and made to say what it was never intended to say. My stance is that I track down the primary source as often as I can. When I wrote about Melissa Moore's divorce (Beth Moore's daughter) I went online to the Texas court sites and read the notarized court papers. Same with RC Sproul's son when RC Sproul Jr was arrested for felonious DUI, I read the court papers. Same with Chip & Joanna Gaines of Waco TX and their businesses, those are available on the Secretary of State business listing site. Same with many other charitable ministries, their tax returns are available for free online and open to public inspection. Google has a function where you can read archived newspapers. I strive to read the newspaper of record, not just a penny journal limping along in a corner of the internet somewhere. If the quote or issue arose from a video, I watch the video- all of it. Primary sources are best. I go to lengths to obtain them. I do not rely on hearsay or narrowly selected quotes. This is to honor the person I am writing about. Slander is a sin. I also want to satisfy my own conscience that I've done diligence. It is also because I do not want any of my material to cause another to stumble. So ask, did the discernment ministry go the extra lengths to ensure the information is as close to primary as possible, and therefore of the highest credibility? 2. Context is king. You've heard that in Bible study, it also is important in journalism. Discernment research is actually investigative journalism, and the same ethics apply. Has the online discernment ministry writer used ethical standards and looked at the situation/quote/issue in context? Has he or she been fair? Anyone can take anything out of context and make something of it. Someone sent me a couple of photos that had no provenance to them (origin) and tried to make a claim that something occult was going on at a credible ministry. It turned out to be college kids painted up for a celebration after winning a championship trophy. The link that was sent along with the pictures was to a website whose author sneered that of this Christian college, they sure didn't see many of the youths carrying around Bibles. But, it turned out that they were, in many other photos on their Facebook page. Context!! 3. Another important factor to look at is, is the online discernment ministry cherry picking non-representative statements? Someone sent me one statement an elder pastor made once at the onset of his ministry, which was 47 years ago. For the ensuing 47 years, the pastor preached a fuller and more nuanced version of the statement. The person was attempting to claim that ergo, the pastor was false due to this statement made long ago. This isn't judicious, charitable, or even fair. So look at whether the online discernment ministry is taking statements that never did or no longer represent the teacher's stance. How old is the material the online discernment ministry is using to "prove" their case? How narrow is it? How representative is it? When I was editor of a weekly newspaper, sometimes issues would heat up the town. People would send letters to the editor, lots of them. Of course I did not have room to print them all. I chose representative letters that seemed to capture the stream of thought and feeling overall. What would be wrong would be to choose the one letter that opined Yea on the situation, if the letters were running 9-1 Nay. It's the same with online discernment ministry. The writer should choose statements that are representative of the overall doctrinal stances. Secondly, time. Has the ministry under investigation or the teacher being scrutinized developed over time? It was not fair for the person contacting me to choose one statement from a young pastor and pretend that encapsulates all of his attitudes on the subject of, for example, Calvinism to date, for the last 50 years. We learn, we grow, we mature. But solid food is for the mature, for those who have their powers of discernment trained by constant practice to distinguish good from evil. (Hebrews 5:14). Martyn Lloyd-Jones had 1,600 sermons recorded and published. S. Lewis Johnson has over 1,500 sermons recorded and transcribed. John MacArthur has over 3,300 sermons recorded, transcribed, and published. Those are a lot of words. It's a lot to be responsible for. How would you like your 1st grade report on 'apples' published and used as a representative example of what you speak and believe now, 40 years later? You would not. When it comes to a discernment ministry being critical of teachers and pastors, are they charitable? Did they look to see how the teacher is doing over time? Or are they taking one aged, anomalous stumble and making a mountain out of a molehill? 4. I pile these three into one section. Weasel words are used when the speaker wants to make it seem like they've given a clear answer to a question or made a direct statement, when actually they've said something inconclusive or vague. Fortunately, weasel words are easy to spot. A lot of the worst online discernment ministries (which are not discerning and minister to no one) are just plain lazy. It takes time to search out primary sources. It takes time to watch a teacher over time. It takes time to write and edit what you've written so it reflects fairness and charity. So they get lazy. They try to make their 'discernment expose' sound legitimate by using these words. "Sources say that the teacher did..."
So-and-So would often be seen drinking at a neighborhood bar..."
"Most scholars today believe Jesus likely never existed"
Does your favorite online discernment ministry use these vague weasel words? Hyperbole are wildly exaggerated statements, or, deliberately overblowing things to make a point. "At Thanksgiving your mom cooked enough food to feed and entire army!" "That teacher is an outrageous heretic!" Conspiracies are just that, conspiracies. No, that gesture isn't a hidden signal indicating Freemasonry, or showing occult ties, or revealing an Illuminati guy. It's just a hand, OK? Tenuous connections. Sometimes, when there's no proof at all, the poorer of the online discernment ministries will try to insinuate guilt by association. "He shares the stage with so-and-so, who had a second cousin in the last century in another country who might have been Illuminati!! Therefore the guy is definitely a heretic!" I am not exaggerating too much on some of the stuff I receive that say almost exactly that kind of thing. "I heard that the guy has links to an underground movement that you can clearly see in the photograph by this hand signal!" Sigh. If I had a dime for everyone who sends me stuff charging that so and so 'has links to.' Of course when I ask for proof, the person evaporates. Watch your discernment ministry if they publish nebulous charges of someone having links to or being connected to. This gets complicated. Partnering with someone who is a false teacher may not necessarily be a nail in their coffin. It's always best to consider the doctrine over which someone breaks fellowship, and it should be only over a fundamental doctrine and no other. But the worse of the online discernment ministries claim that so-and-so shared a stage last year with Piper, who shared a stage this year with Moore, and that means that so-and-so is false, is not discernment and displays a lack of understanding about biblical separation. Separation is serious. It means when a teacher publicly separates, that they are in effect declaring the person they are separating from a false teacher. We don't do that lightly in real life, and online discernment ministries should not demand separation at every turn from everyone. If they do, there is a problem with the online discernment ministry. Here is a discussion between Phil Johnson and Todd Friel at Wretched regarding separation. Last, is the discernment ministry perpetually angry? Is their pen always wagging in the air, their pulpit pounding all the time? Some things we learn in the discernment world are anger-inducing, but mainly, discernment ministry is saddening. It's depressing to see how many people are taken in, sad to see how deeply some false teachers can be embedded. It's a sorrow to know their future, which will be justly tormented in the fires of hell. (2 Peter 2:12, Jude 1:10). If an online discernment ministry is perpetually outraged, it is not a healthy ministry. Ministry of any kind is supposed to point to Christ and be edifying to the saints. Constant outrage at "the latest" isn't healthy for the ministry or its readers. Some good thoughts. 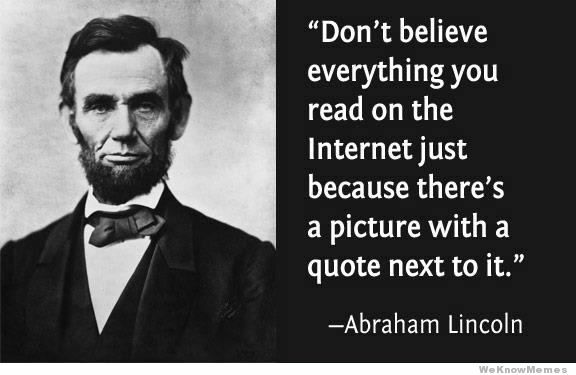 I especially appreciate your care to look at primary sources. That is a very important step in getting to the bottom of whether there's actually substance to the claims. However, when an issue with a ministry or leader is well documented, with substantial evidence, that needs to be taken seriously, especially because we have the world watching us, and they see our representation of Christ. Sadly we can be as guilty as the world of holding up well-known, church members as idols. The word says those who are teachers are held to a higher, not lower, standard of accountability. However, like you said, I am saying the same thing: we need well documented, substantial evidence, before we respond. Anyhow, your final note - about ministries that are perpetually angry - well said. We should not rely on discernment ministry marked by constant anger, harshness, snark, etc. I'd add one more thought to this - it's a very good witness to publicly apologize for these behaviors if one is exhibiting them! That takes courage and integrity of character. Your conclusion (final paragraph) is a great quick reference.